Hello there folks, how’s your recycling activity going on? I was just wondering that the ones who are literally addicted with the recycling stuff just can’t spare their time for some other things. They are always keen to grab some creative ideas of recycling. So here’s a great idea of upcycling where we would be using the metallic tin cans that carry the carbonated beverages and some other drinks that we like to be served with. All of us have these empty tin cans at our houses, so just pick them up and start this exciting recycling project of tin cans. Every house that ahs kids, is always having a bulk supply of different color and other writing pencils. And arranging them is always a problem, you find some of them in the lounge, some in the bedroom and some other in the porch because kids aren’t that much reluctant in this matter. 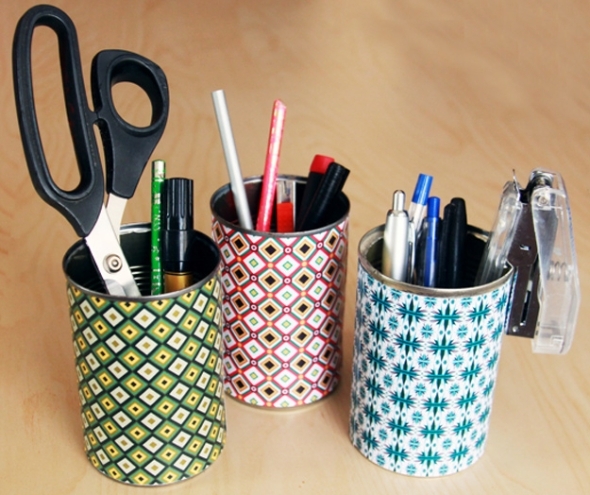 So making these tin can recycled pencil boxes would really be a smart idea. Just by using some embellishments like netting fabric, some fabric brooch or other cardboard made patterns, you can immensely beautify these metallic tin cans. 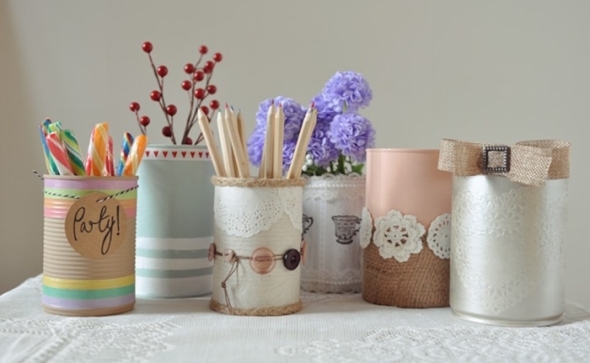 Use them as pencil holders, or vases just like the way you want them to be used. Such cute caricatures have always been a source of attraction and inspiration for the kids. They just love to play with them. The kids of this era just prefer such recycled toys over the market based ones. 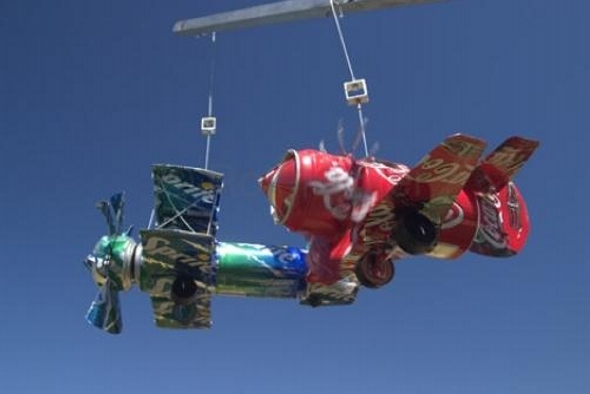 So just try making these tin can recycled helicopters with proper wings and fan. I know that all the art lovers don’t want to go for some stereotype ideas which are already in sheer practice. 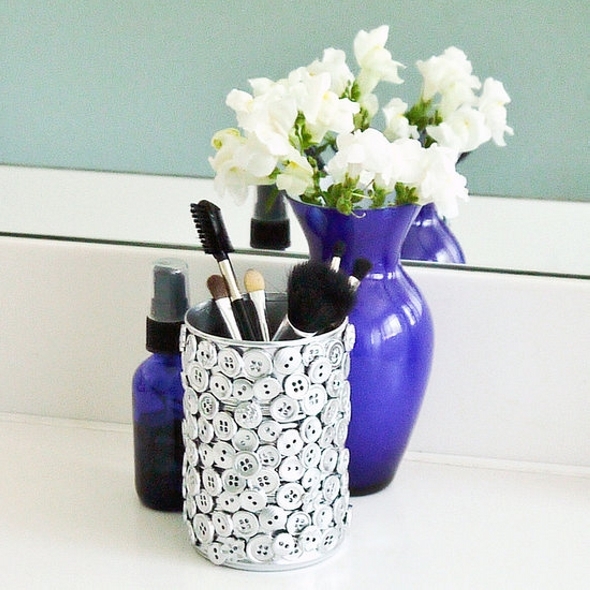 Same is the case with these vases that usually come in glass or crystal glass. 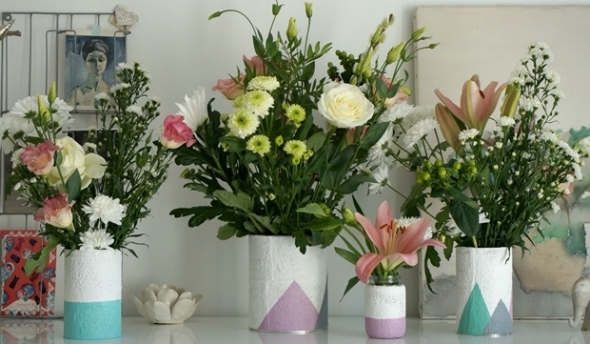 So all of those art lovers are invited to try these tin recycled vases. Having some recycled planters for the outdoor spaces is a sort of relief for the gardeners, in this way they are provided with the sufficient space where they can plant all their favorite plants and shrubs. 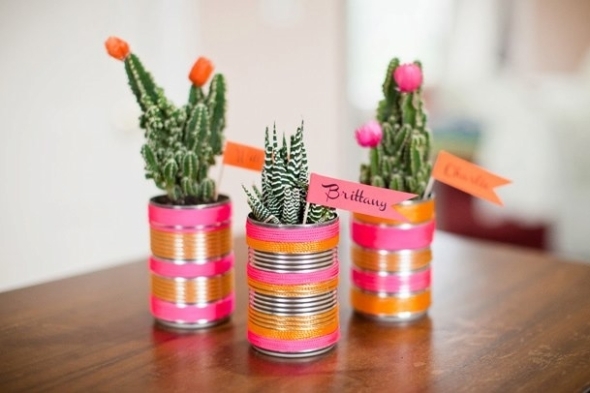 Just look at these cute tiger printed tin recycled vases where several shrubs are planted. Adding some supportive stuff or some fine embellishments always add a lot of value to these tin recycled art crafts. 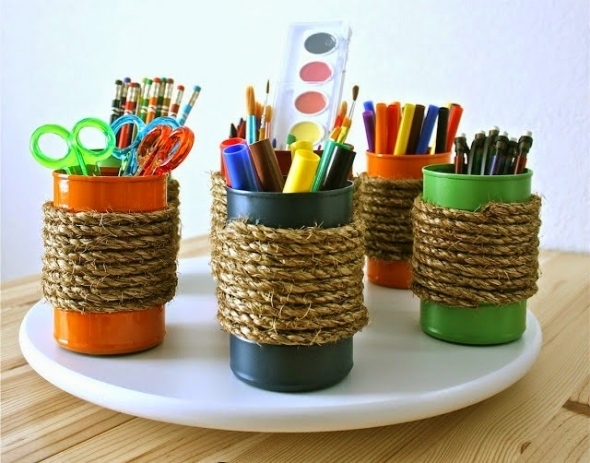 Just the way we used this jute rope all around the differently colored tin cans, and we used them again as stylish pencil containers. They have got it all, you water colors, different color pencils, some of the necessary stationary items that are compulsory while doing the art work. Just like an art concentrated small world is created here. Some of the gardeners are literally obsessed with greenery, they just want to see it all around even indoors. 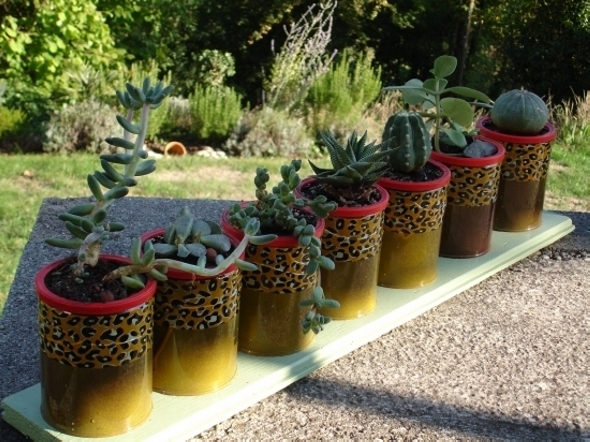 They feel kind of relieved while sitting beside some cute tiny plants or shrubs, just like this arrangement done by some gardening fanatic who planted these tiny plants in tin recycled cans and placed them on the wooden table in his or her room.